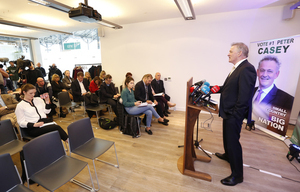 Peter Casey launches his Presidential campaign with wife Helen (above centre) and from left: Chantelle Doran, Eimear Walsh, Sean Morrin, Keila Costelloe and Rachel Paige, members of the Peter Casey campaign team. 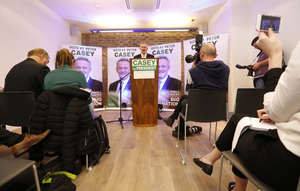 Mr Casey is a Derry-born entrepreneur and television personality, the founder of Claddagh Resources, and an investor on Dragons’ Den. 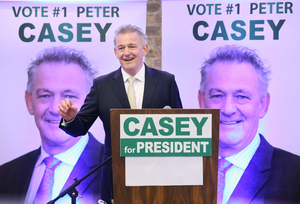 Posted in Misc and tagged Peter Casey, Presidency 2018 at 2:58 pm on October 5, 2018 by Bodger. 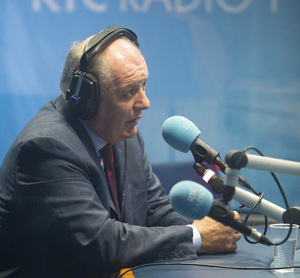 So Seanie is ‘bald’ and MDH is ‘short’. 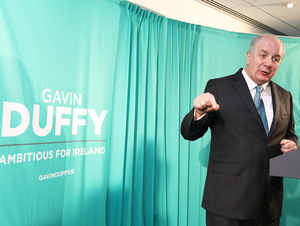 This lad is one class act…. 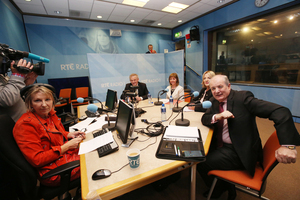 Don’t rate any of these candidates to be honest, I reckon Micky D is head and shoulders below the rest of them. just as useless as MDH and the rest of them.